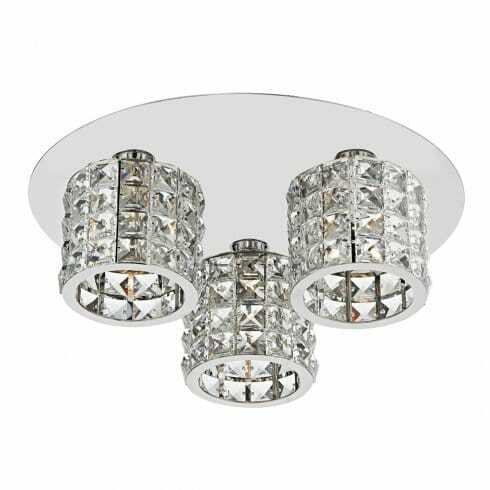 Dar Lighting Agneta 3 light halogen flush ceiling fitting features a circular design ceiling plate in polished chrome finish holding 3 cylindrical crystal glass shades. The product code for this Dar ceiling fitting is AGN5350. Suitable for rooms with low ceilings. The Agneta collection includes a matching 5 light bar ceiling pendant and single light wall fitting all of which can be ordered on our website.